This is my song of the moment! 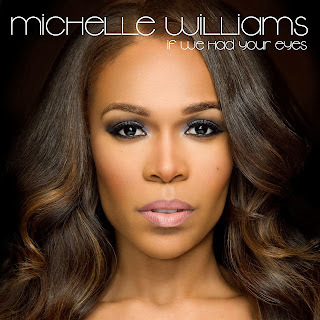 I've always been a fan of Michelle Williams also known as the other member of Destiny Child. I have to say I never got into her Dance music stuff but I loved her in the element of Gospel. On "If We Had Your Eyes" you can hear that Michelle found a way to bridge the two genre's. This song is from her newest album "Journey to Freedom" which she described as a Gospel/Inspirational album. It has a more contemporary feel than her other Gospel projects. With hip-hop beats and a slick sound. Gospel music purists will of course not be huge fans of this sound but I think she did a great job bridging that gap of secular music and Gospel music.